This humidity and temperature probe with digital I²C interface excels with its wide measurement ranges, high accuracy and robust construction design. It is therefore suitable for most applications. In combination with the wireless datalogger kiro solo this probe measures the temperature and humidity reliably and with high accuracy. 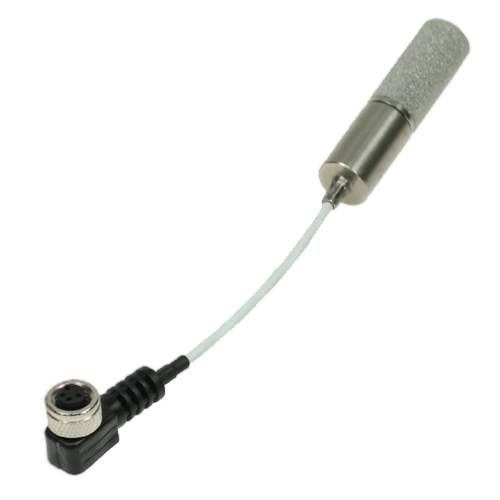 Thanks to the industrial M8 plug the probe can be easily connected or exchanged on the kiro solo device. The probe is compatible with the B+B kiro solo 1x°C / %RH WLAN Datalogger (Art. No. SHOP 0566 1003 and SHOP 0566 1003-20). In addition the probe can be easily operated with a microcontroller.